Over 70 percent of Americans who use the internet have gone online recently to research health questions. Do you have the content they need? Providing helpful, engaging and accurate healthcare and wellness content helps your patients and enhances your organization's credibility. 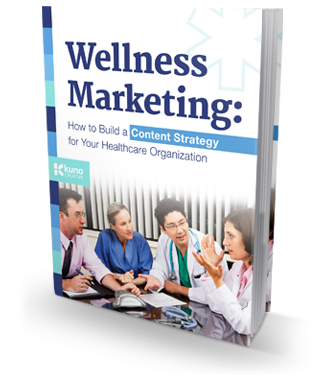 Our guide, Wellness Marketing: How to Build a Content Strategy for Your Healthcare Organization, will help you build brand awareness and trust. Ready to start the conversation with your patients? Fill out the form to the right to receive your copy.